I know, I know. Another rhubarb recipe. But, I have spent a lot of time looking for recipes to use my rhubarb in so I figure I should share. This dessert is a favorite of my daughter. She even helped me make it a few days ago. It is pretty simple to make. I hope you will enjoy it as much as my family does. To make the crust combine flour, brown sugar, salt, and graham cracker crumbs in a medium bowl. Cut in the butter until mixture is crumbly. Stir in vanilla extract. Press into the bottom of your baking pan. Cool while making the filling. In a bowl, beat the cream cheese and sugar until fluffy. Add eggs and vanilla and mix well. Pour over crust. 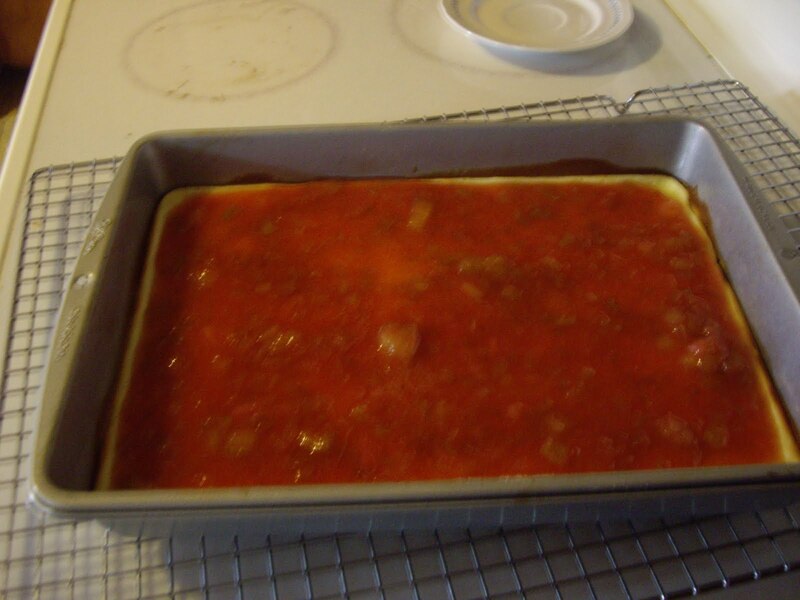 Bake for 20-25 minutes until the center is set and the edges are brown. 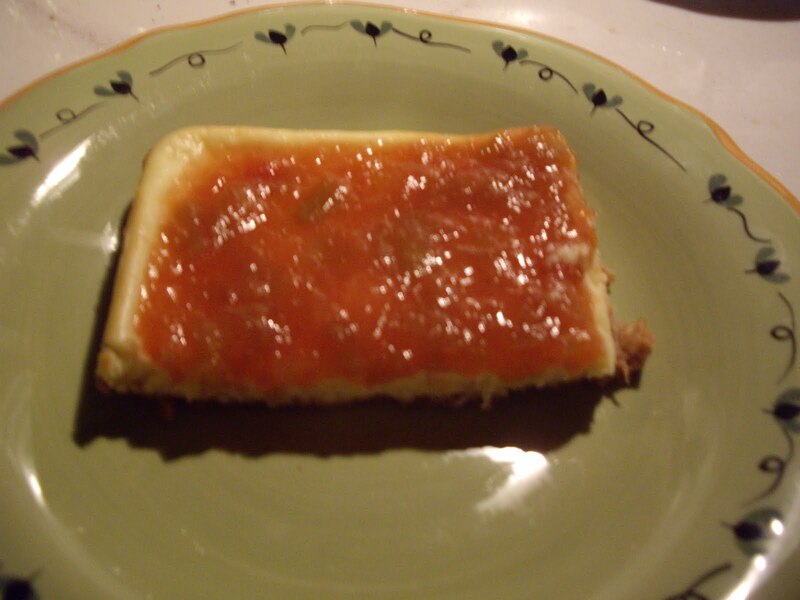 While the cheesecake is baking, combine the rhubarb, sugar, water, cornstarch, and cinnamon in a medium saucepan. Bring to a boil and stir constantly until mixture thickens. This will take about 5 minutes. Stir in the food coloring if you like. When the cheesecake filling and topping are both cool, spoon the topping over the cheesecake.